Like a window to another world, Living Beaches is the first and only digitally animated video screensaver for your TV. Set the mood and watch as it instantly turns your TV into virtual beaches that enhance the ambience of any room decor. 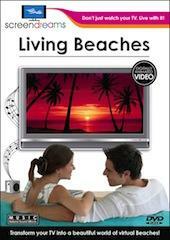 Ideal for everyday enjoyment or entertainment, Living Beaches adds a beautiful new dimension to your TV!